COLORADO SPRINGS, CO – Three days of intense airgun competition concluded with mixed team events Sunday at the Olympic Training Center in Colorado Springs, Colorado. With 600 days remaining until the Opening Ceremony of the 2020 Olympic Games, it was Alison Weisz and Alexis Lagan proving their ready for their Olympic run with top overall performances at the 2018 Winter Airgun Championships. Nearly 500 athletes from across the United States made their annual pilgrimage to compete in the largest Winter Airgun Championships (WAG) in history. 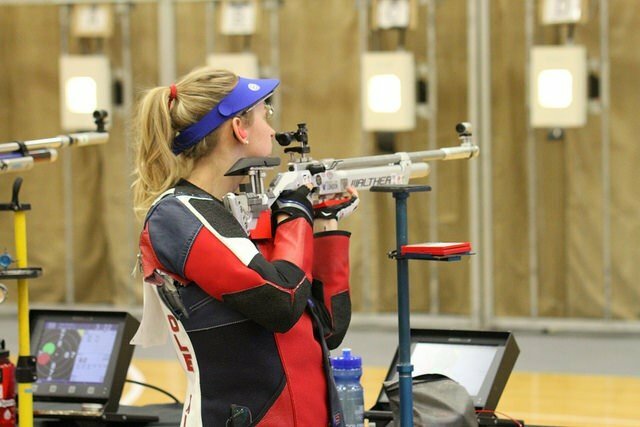 WAG has become an annual tradition for American Air Rifle/Air Pistol athletes every December as the ranges expand throughout the Olympic Training Center campus to include portable targets in gymnasiums to accommodate as many of the competitors as possible. Friday and Saturday included separate Qualifications, with Finals for Open and Junior athletes each day. Things ended Sunday with mixed team competition (one man, one woman per team) in rifle and pistol open and junior divisions. Top-three finishers, when combining two separate qualification scores and a final, earned their ticket to the 2019 World Cup in New Delhi, India. In Women’s Air Rifle, Weisz (Belgrade, Montana) eclipsed the top American women’s score in this event since the change to a 60-shot qualification match, with a world-class score of 630.9 on day two and would win the match by 5.8 points overall. After recently announcing her commitment to shoot at the University of Kentucky, Mary Tucker (Colorado Springs, Colorado) was out to prove why the National Champion Wildcats were so excited to obtain her shooting skill the next four years. She did just that as the 17-year-old earned the silver medal and will compete in her first World Cup next year. Rounding out the top-three was Sagen Maddalena (Groveland, California). Tucker was the top junior finisher as well, earning the victory by just .3 points over Emily Stith (U.S. Army Marksmanship Unit/Jacksonville, Florida) with Texas Christian University’s Elizabeth Marsh (Searcy, Arkansas) placing third. Lagan was impressive as well in Women’s Pistol. She won the Sport Pistol Selection Match that preceded WAG by 14 points, then came in and earned the top step on podium in Air Pistol by 25-points, winning both Qualification matches, both Finals and then shot to gold with partner James Hall (Anniston, Alabama) Sunday in Mixed Team Air Pistol to finish her season in dominating fashion. On the podium with Lagan, was 2012 Olympian Sandra Uptagrafft (Phenix City, Alabama) and Nathalia Tobar (East Northport, New York). Top junior proved to be 16-year-old Maria Tsarik (Lake Bluff, Illinois), earning a six-point win over Katelyn Abeln (Douglasville, Georgia), while Sarah Choe (Los Angeles, California) was third. In Men’s Air Pistol, it was 2012 Olympian Nick Mowrer (Butte, Montana) earning the victory by 12 points over Hall, with junior Jack Leverett (Bainbridge, Georgia) finishing third. Leverett was stellar throughout the week as well earning top honors in the Rapid Fire Pistol Selection Match. He and his partner, Abeln, finished second and third, respectively, in the two Mixed Team finals they were in Sunday. Hunter Battig (Colorado Springs, Colorado) and Henry Leverett (Bainbridge, Georgia) finished second and third among juniors. Former Murray State University standout Ivan Roe (Manhattan, Montana) was the top finisher in Men’s Air Rifle, topping fast-rising junior competitor Matthew Sanchez (Tampa, Florida) by one point. The 17-year-old Sanchez earned the Finals win in the open division. Another top junior performer continues to be Will Shaner (Colorado Springs, Colorado), now a freshman at the University of Kentucky. Shaner’s cumulative junior score (1250.6) was .4 points higher than Roe’s score in the Open division. An early Finals exit in the Open event is all that kept Shaner from doubling up. U.S. Army Marksmanship athlete Tim Sherry (Highlands Ranch, Colorado) finished third in open, while Air Force Academy cadet Logan Ogden (Galway, New York) was third among all juniors. Paralympic athletes also took part in WAG as they also serve as the selection matches for the World Shooting Para Sport (WSPS, formerly IPC) World Cup in Al Ain, United Arab Emirates early next year and Szczecin (Poland) Grand Prix. Earning top honors was 2016 Paralympic Air Rifle Bronze medalist McKenna Dahl (Arlington, Washington), 2016 Paralympic pistol team members Marco De La Rosa (Chicago, Illinois) and Tricia Downing (Denver, Colorado), as well as rifle’s Robert Beach (Dresden, Ohio), Jim Castaneda (San Antonio, Texas) and recent World Cup bronze medalist Taylor Farmer (Castalia, Ohio). 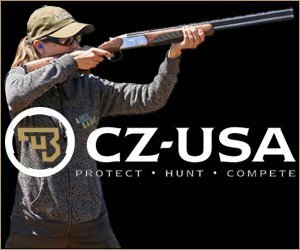 The rifle action continues on this week with a smallbore (.22 caliber) rifle selection match with pre-event training set for Monday, December 3 and concluding with Men’s and Women’s Three-Position Rifle Finals the evening of December 5.